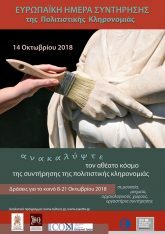 Greece will participate in the celebrations for the European Day of Conservation-Restoration of Cultural Heritage, with a number of events scheduled to take place throughout the country during October 8-21. 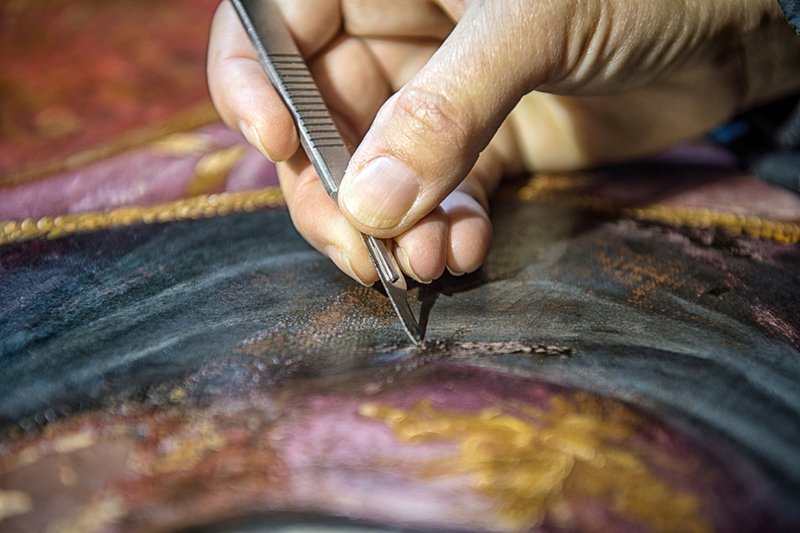 Celebrated on October 14, the European Day of Conservation-Restoration of Cultural Heritage aims to raise awareness on the key role of conservation-restoration in safeguarding cultural heritage. Thousands of initiatives and events will be organised throughout Europe. This year’s events are taking place within the framework of the European Year of Cultural Heritage 2018 and aim to bring Europe’s cultural heritage, history and shared values closer to people; engage the younger generation in the care of cultural heritage; and highlight special themes in conservation-restoration which are important in the preservation of cultural heritage as authenticity, awareness, access, sustainability. 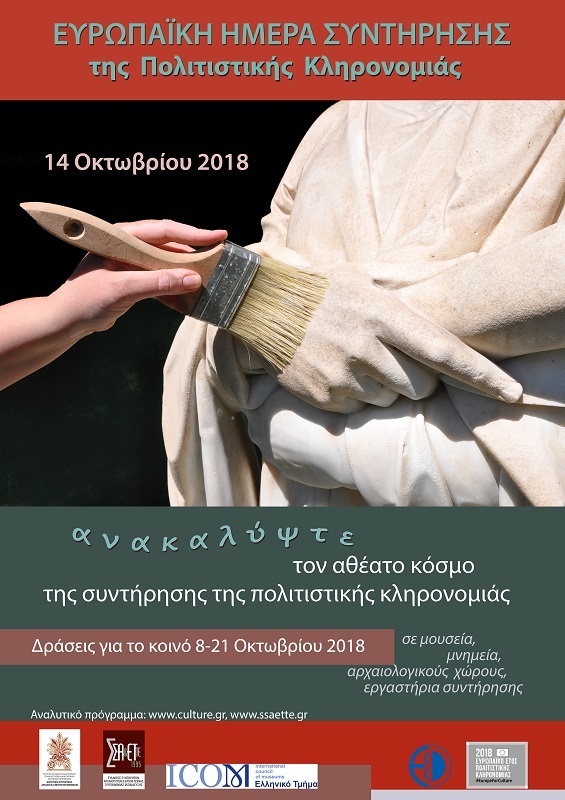 Within this framework, during October 8-21, Greece’s conservators-restorers are inviting the public to their working places – museums, ateliers, private studios, university studios and conservation/restoration sites in monuments – to explain their actual running projects. 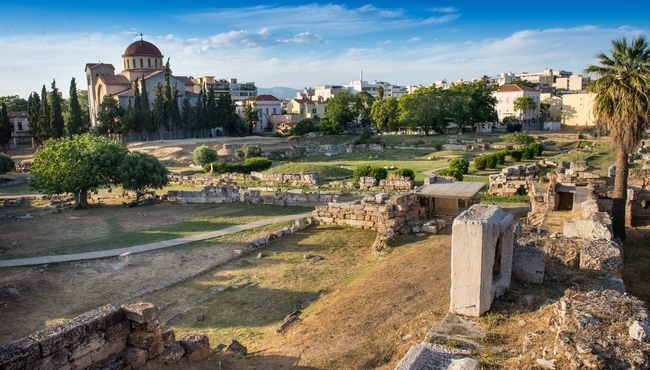 The organizations that will open their doors to the public in Athens include the archaeological site of Keramikos, the General State Archives, the National Library of Greece at the Stavros Niarchos Foundation Cultural Center, and the National Archaeological Museum. Furthermore, archaeological sites, organizations and museums in Thiva, Argos, Karditsa, Alexandroupoli, Komotini and Heraklio – among many other Greek cities – will be hosting events for children and adults. For more information and the full program of events (in Greek) press here. The events in Greece are coordinated by the Directorate of Conservation of Ancient and Modern Monuments of the Ministry of Culture; the Association of Conservators-Restorers of Antiquities in Higher Education and the Greek Department of the International Council of Museums (ICOM).